Is from 8.00am and finished around 4:00/ 4:30 pm on day 1 and earlier on day 2. There will be a sign on for indemnity forms, a briefing and course outline. We will cover all the skills required, cornering, braking, hills, logs, jumping, creeks and sand to enjoy riding your Adventure Bike Off road. Phone (02) 4232 4580 Business hours 9.00am to 5:00pm Monday to Friday or Email academy@offroadriding.com.au. Please note Motorcycling is dangerous and all participants will be required to sign and indemnity to cover our insurance, sponsors, the Academy of Off Road Riding and the landholder. Insurance is provided by Motorcycling Australia and all participants must sign an indemnity that will include temporary membership to M.A. for the duration of the course. * This is not a VIC Roads or NSW RTA licence. 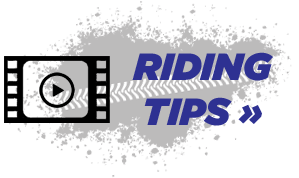 * Motorcycling Australia licences do not include accident insurance or Ambulance cover; both of these insurances are recommended before undertaking any motorcycle activity.